Nelson Mandela, anti-apartheid activist and philanthropist, who went from being a political prisoner for 27 years to serving as the first black president of South Africa, passed away last Thursday at the age of 95. On Friday, Mayor Gray, joining global efforts to celebrate Mandela’s legacy, announced an official week of mourning for his death that will be full of honorary tributes. Events throughout the week will celebrate Mandela’s contributions to creating the first democratic, representative government in South Africa, preventing civil war, and ending apartheid by promoting civil rights, anti-poverty campaigns, and basic equal liberties. 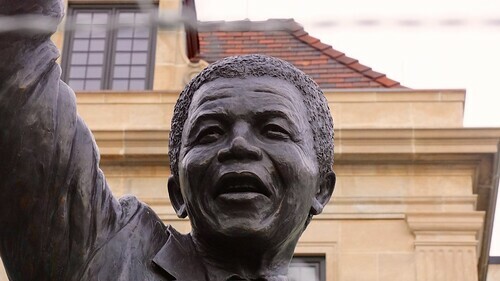 On Monday and Tuesday at 7 p.m., The South African Embassy will be offering a candlelight vigil for Mandela at the base of his statue on 3051 Massachusetts Ave. NW. On Monday and Tuesday, a condolence book, which anyone can sign, will be placed in the John A. Wilson Building at 1350 Pennsylvania Ave. NW. and later delivered to South Africa. Finally, On Wednesday at 11 am, the Washington National Cathedral will host a memorial service for Mandela. Mayor Gray said that the several day tribute is necessary and proper for citizens to be able to mourn Mandela’s death. Nicole Lee, president of TransAfrica, an anti-apartheid group formed in 1977, hopes that other cities across the nation will follow Gray’s lead and also provide a week of tributes to celebrate Mandela’s legacy.